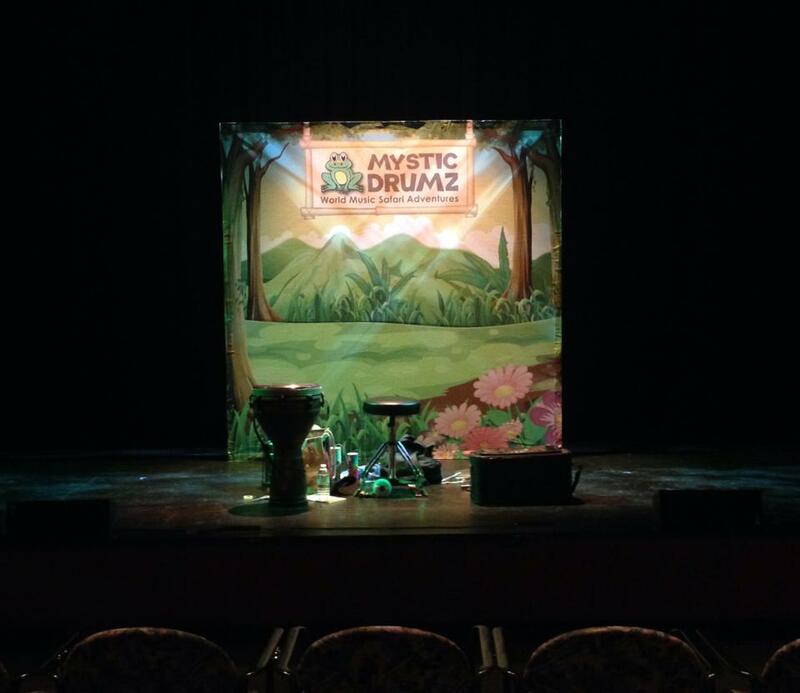 Mystic Drumz has been performing shows, delivering programs, and facilitating workshops for over 20 years. 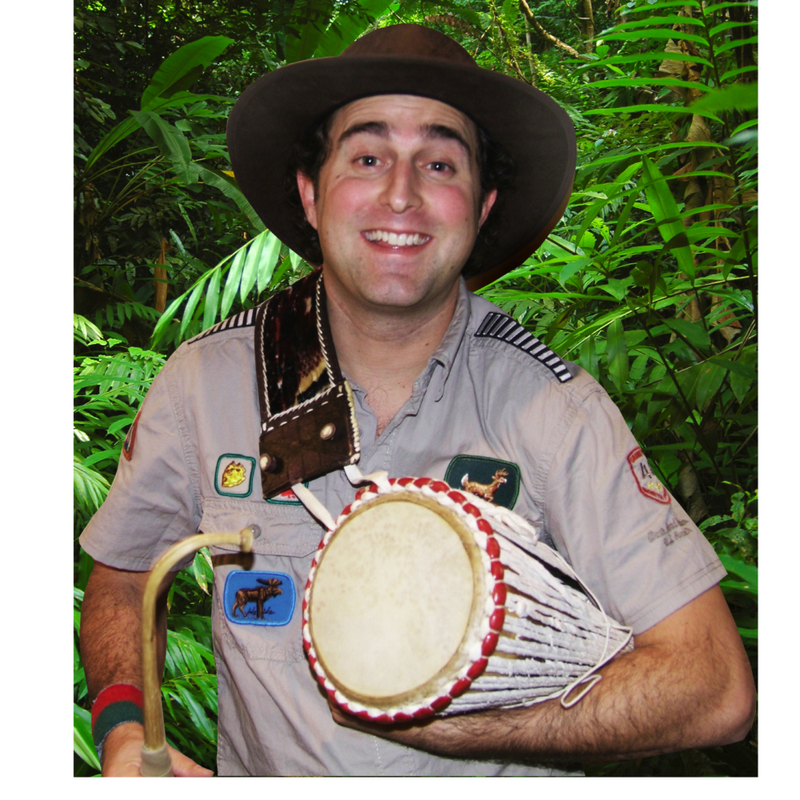 With over 8,000 events and counting, our one of a kind “World Music Safari Adventures” are a sensation in music education. We are an international leading provider of World Music education, specializing in bringing interactive percussion experiences to your door. 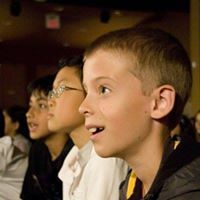 Our unique rhythm and sound programs excite, enlighten, and engage audiences of all ages. 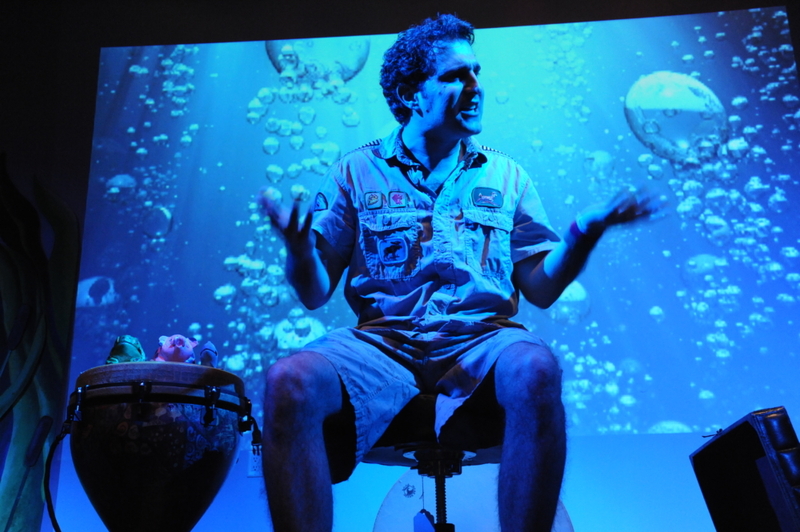 Hands-on interactive sessions and performances showcase eclectic percussion instruments sourced from around the globe. We link geography to sounds, rhythms to science, and laughter to learning. No Deposit Necessary. No preperation by teachers required. 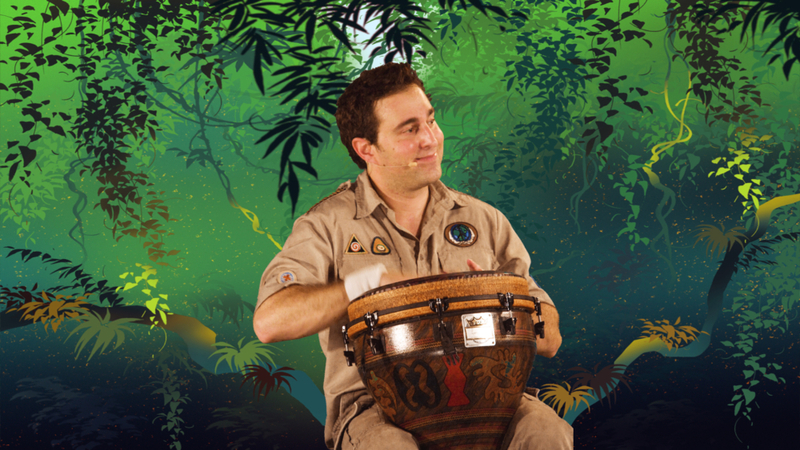 We have two types of programs: an interactive “World Music Safari Adventure" Show (for ages 2-12) and a Hands-On Drumming Workshop (for ages 4- and up). Performances and workshops work in any setting, be it Auditorium, Gymnasium, Classroom and Outdoors, weather permitting. We customize the program to meet the needs of each unique audience. – To reinvent children’s music education and interactive entertainment. We span the curriculum connecting Georaphy, History, Science, and Music as it relates to societies from all across the globe. Each show is an exploration of everything from environmental issues, world cultures, the elements of music and the physics of sound. 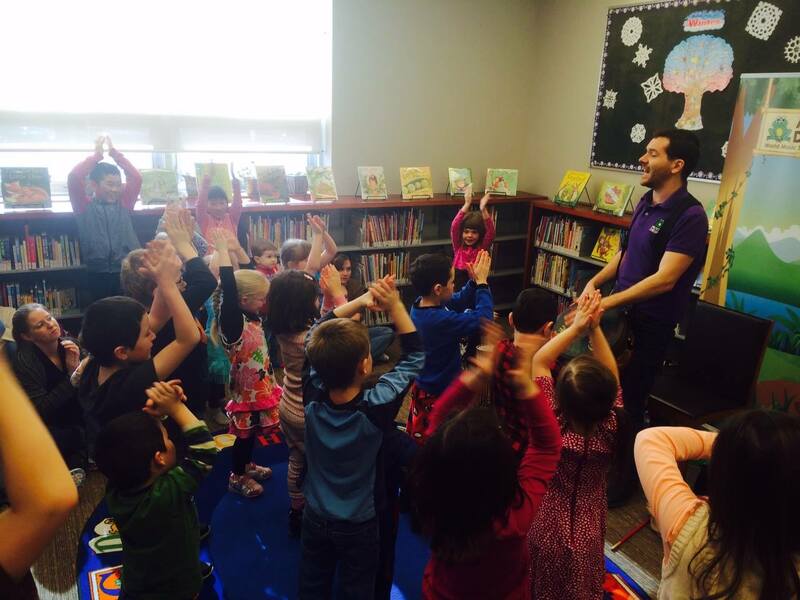 – To bring music into the lives of thousands of children with a fun and creative approach. Through movement, dance, laughter and the awe of sound we make the learning experince a thoroughly thrilling experince. 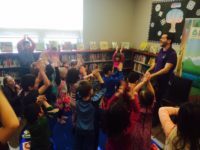 – To enrich the lives of children by showing them the wonder of different cultures, introduce them to amazing musicians and the instruments they play. – To teach children about ecology and environmental awareness through our shows. All Show Timeframes: 45-50 minutes long. Please click on the video tab above to view a sample of our show. Each show is a world music safari adventure that takes participants around the globe in search of amazing instruments and sounds. We travel to African jungles, South American rainforests and the Great Wall of China to discover clues from animal friends and learn about ecology. "The Legend of Marshmallow Island" features a magical island that rises from the middle of a mystical pond. Larry the Frog and friends go off in search of Marshmallow Island and the legendary dance party that takes place there. Featured instruments include Nigerian Talking Drum, Brazilian Quica, Vibraslap, Flextone, Chinese Gongs and more. "The Button People" takes “Larry the frog” and “Slappy the Dolphin” deep below the enchanted sea to find the fabled Buttonville metropolis. 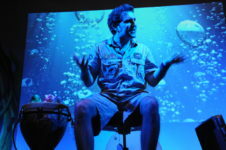 Larry and his friends navigate the under-sea world to find the amazing button people. Featured instruments include Trinidad's Steel Pan, Cuban Bongos, Spanish Castanets, European Xylophones to mention a few. “The Road to JelloTown” Larry the frog must catch up with his evil Uncle MogoTogo and stop him before he reaches JelloTown and eats all the world’s Jello. We travel to Africa and find Log Drums, North America for Snare Drums, India for Lizard Skin Tambourines (Kanjira), Tibet for Giant Temple Bells and Chimes, Nunavut for Pow-Wow drumming and more. “The Path to Popsicle Palace” Larry the frog’s Mom has taken up a cause to save the melting Popsicle Palace. To discover clues to the location, Larry travels to Egypt finding Darbuka Drums and Frame Drums, Peru for Cajon Wooden Box Drums, Brazil for a Recco Recco Metal Spring Guiro, and he also visits the magical “World of Shakers” featuring every shaker from around the planet. "The Farmtastic Soundz" show: This interactive music adventure takes audiences across Canada to explore the sounds you would find on a farm. 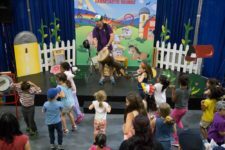 Children dance their way across the country, take virtual roller coasters and trains to discover amazing farm instruments such as cowbells, triangles, washboards, spoons and more. Featuring the Mystic Drumz “Farmtastic Soundz Machine” this show lets the audience get hands on and make some noise with drum sticks against our custom sound installation full of found sounds from a local farm. "Black History Show": Black History Month Show features percussion instruments deriving from Countries in Africa, as well as afro-Cuban instruments developed in Africa and played around the world. 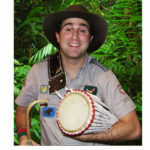 Children will see and hear incredible talking drums from Nigeria,and Djembe Drums from Ghana to name a few. This high energy interactive show is full of call and response, rhythm and movement, and african inspired dancing. We offer hands-on group drumming sessions for 10 to 100 children at a time. These sessions offer children a chance to get creative and take part in their own rhythm band. We have junior (3-6 years), intermediate (7-12 years) and senior (13-17 years) music education program levels. 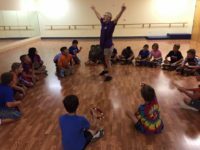 Our workshops explore the fundamental elements of rhythm, sound, and performing as a group. 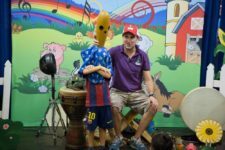 We offer the children a chance to perform on instruments from around the world, including Djembes, Bongos, Gueros and Tambourines among others. We also offer team-building sessions for Teachers/Adults: Even teachers need a little fun! The goal of our teacher’s workshop is twofold: To create synergy in the workplace through dynamic drumming ensembles…and at the same to educate teachers about techniques for integrating simple rhythm and sound games into their lesson plans. Workshop Timeframes: 30 minutes to 1 hour depending on age and program timing. Contact us to get a quote for your event. Single show, single workshop, half day, full day and customized events are available.